Heather Dessinger 45 Comments This post contains affiliate links. Husband: I know you’re tired. Let’s just stop at Taco Bell or McDonald’s for dinner. Katie: Daddy, why are you saying that? Those aren’t real places! It wasn’t intentional, but somehow my daughter was six years old before she realized these places really do exist. We’ve done our best to nourish our kids from the start, and we are very careful about what goes into their little bodies. I used to believe that was enough. With a real food diet and minimal supplementation to make up for things like soil depletion, our family would thrive. I don’t have all the answers, but I wanted to share with you some of the information I’ve found most valuable as I sort through this. Now, please keep in mind that – as I’ve said before – “Best Boo-Boo Kisser South Of Puckett’s Grocery” is about as official as things get for me professionally. I am not a doctor and this is not medical advice or a diagnosis. I’m just passing along information gathered from some of the top experts in the field. So, with that out of the way, let’s talk about some of the top questions you may have . . .
What are the most common sources of kryptonite, er, folic acid? As mentioned in my previous post, folic acid is a synthetic vitamin that is not well-converted into usable form by individuals with MTHFR mutations. However, free-floating unconverted folic acid doesn’t just sit around and twiddle its thumbs – it attaches to receptor sites intended for usable forms of folate, thus blocking the body’s ability to get enough folate. That’s a big deal, because getting the right kind of folate is essential for DNA synthesis and repair, neurotransmitter production, detoxification, and immune function. 1. Read labels carefully and avoid “enriched” or “fortified” foods. 2. Avoid supplements that contain folic acid. A quick word of caution: According to MTHFR experts, supplementing with methylfolate can actually make some people with MTHFR mutations worse, especially if there is underlying B-12 deficiency which has not been addressed. 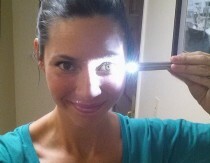 Before starting a supplementation protocol, I recommend signing up for Dr. Lynch’s email newsletter. It starts off with very helpful beginner info, including what he calls his “safe and sane” way to supplement. Consulting a MTHFR-literate practitioner is also a very good idea – here’s a list of individuals that have completed some training with Dr. Lynch. What are the best foods for people with MTHFR? Natural sources of folate are considered top priority, along with other nutrients that support the methylation cycle. Folate comes from the Latin word “folium,” which means leaf. Not surprisingly, that’s because leafy greens are one of the best sources of folate. Because cooking tends to break down folate, Dr. Lynch recommends eating raw leafy greens daily. If oxalates are an issue, this article has a list of low oxalate greens that can be eaten raw. Also important are vitamin B-12 (best found in pastured meats, wild caught fish and eggs), choline (also found in eggs) and other cofactors that support methylation. This article gives a good breakdown of what to eat and why. *Dr. Lynch recommends limiting dairy, and opting for goat milk if dairy is a must. Is diet enough or is supplementation needed? I haven’t seen this question answered directly, but most practitioners who work extensively with MTHFR seem to recommend at least some supplementation, at least initially. Personally, I’ve opted for supplementation AND optimizing my diet to support methylation. However, as I mentioned earlier there is no one-size-fits-all supplementation protocol. Some people can have negative reactions to methylfolate, especially if they start at a high dose. 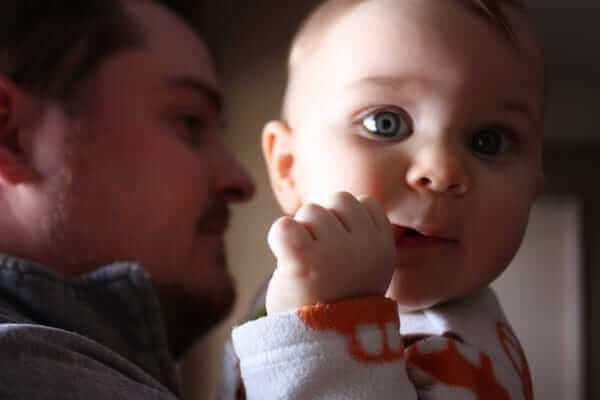 Dr. Lynch shares tips tips for avoiding side effects here, and he shares additional information on supplementation considerations in his newsletter – you can find a link to it above in the section on avoiding folic acid. What other lifestyle changes are recommended? Infrared sauna therapy for detoxification support. Here’s the one I chose. Epsom salt or Ancient Minerals magnesium baths (Epsom salts are more affordable, but some people are sensitive to magnesium sulfate. 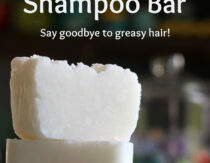 In those cases, the magnesium chloride sold by Ancient Minerals is a better option.) Here’s my favorite “Relaxation In A Jar” bath salts recipe. Exercise – In the fascinating study described here, researchers found that “physical activity purges the blood of a substance which accumulates during stress and can be harmful to the brain. Previous studies have suggested that people feel more positive after exercise because it releases a rush of endorphins. But it now appears that during exercise, the muscles begin to act like the liver or kidneys and produce an enzyme which clears out a molecule linked to depression.’ Muscle filtering things out like the liver or kidneys? Just . . . whoa. 3. Optimize digestion and overall gut health. Certain types of gut problems can impair the methylation cycle – also, poor digestion prevents us from absorbing folate, B-12 and other vital nutrients from food. (source) Attempts to mask symptoms of digestive distress can make matters even worse. For example, antacids interfere with the absorption of vitamin B-12, which is essential for helping the body use folate. Though I don’t have any obvious digestive issues, I know that nourishing the gut is a lifelong endeavor. That’s why I focus on gut healing/nourishing foods like bone broth, gelatin, and fermented foods, and supplement with high quality soil-based and lactic-acid based probiotics (you can find the two I buy listed on my Shopping Guide page). For those struggling with heartburn who want to avoid conventional medications, I recommend reading The 30-Day Heartburn Solution by Craig Fear, NTP. 4. Eating grass-fed beef (plus other pastured meats), and eggs, because they supply highly-usable forms of many nutrients needed for methylation. 5. Here are some additional suggestions from Dr. Lynch. I consider them a helpful general guideline, but I also listen to my body and make adjustments as needed. This article was medically reviewed by Madiha Saeed, MD, a board certified family physician. As always, this is not personal medical advice and we recommend that you talk with your doctor. Can you recommend a multi vitamin that doesn’t contain folic acid? I always feel rotten when I’m dutiful in taking my multi and now I know why! I take Vitamin Code Raw Prenatal vitamins. I researched vitamins to find one with folate and this is one of a few. I have taken the Seeking Health brand… It’s by Dr. Lynch mentioned above. Another I’ve found is the Enerald Labs Wonen’s Multi, found at Vitamin Shoppe. Both have the methylated form of folate. For years the “they” have been saying women must boost folic acid intake prior to and during pregnancy to help avoid miscarriage. Is that a lie?! This article is specific to those who have the genetic disorder MTHFR. Those who cannot process folic acid. Folic acid is very very important for pregnant women because it greatly reduces the risk of birth defeats. So no it is not a lie and yes, pregnant women must boost folic acid intake. I have MTHFR, and I will miscarry every single time I get pregnant unless I get “folic acid” into my system which is what this article is about. Just a quick clarification. Yes, experts say that individuals with MTHFR cannot efficiently process folic acid into usable folate. However, it is not recommended that they supplement with folic acid, but rather folate. Folic acid causes cancer. The forms of folate mentioned in the article do not, but support pregnancy with those of us who have the MTHFR genetic mutation. The folic acid need is a lie. It’s especially bad for you and I who need the right and natural forms of folate. When I was younger my body could withstand it, and went on to carry a pregnancy. Now that I’m an older mom it cannot. I keep having miscarriages until I treat properly ( No folic acid! ) with folate, and natural blood thinners. What’s a natural blood thinner? My doctor is recommending aspirin and lovenox. Meadowsweet is used in my anti cellulitis tincture which is why I warn about the blood thinning effects. If you have a wound or are prone to bruising, then taking either of these products regularly, in a concentrated time period is not for you. Taking a cupful of parsley tea a day or every other day will help to thin you blood, but I question the need for it, unless you’ve had a dvt experience or a clotting event. I have an older greenfield filter which I don’t believe the mds will take out. When I begin to feel achy in that portion of my body, I reach for my own tincture as well as make up some dried & fresh parsley tea with some basil thrown in for good measure & any mints I might have (lemon balm, bee mint, mojito etc. I use about a pound of greens along with their chopped stems & all & throw them into a quart of boiling water. Then I turn the pot down to the lowest setting & leave it for an hour, then turn it off until the liquid is cool to the touch, I strain the liquid into a clean half gallon screw top container. The greens I give to the wilds outside, they can still get some benefit too. To drink, its one ounce concentrate to 8oz hot but not boiling water for hot tea along with up to a 1\2 teaspoon of wild flower honey IF you need it. Adjust to taste. For iced tea you can use the same ounce of concentrate to up to 24 oz of water & ice in a sippy cup of 24 to 44 oz. The green juice will work the same to hydrate you. I also use the juice in my once a week green smoothie. I match colors of fruit & veggies for every smoothie, which helps me to get all of my folates, plus raw veggies. please see the site & blog for more advice. I’ve been a working herbalist for over 35 years now. Portable Sauna’s what an idea! That’s brilliant. I want to use infra-red sauna’s more and I found a place in my area where I can go to get a cheap session for only $0.50 per minute, but according to Dr. Mercola EMF’s are something to worry about, so I hesitate to go. In your link, they advertise low-EMFs but I also read that carbon filters are some of the technologies that issue high EMFs . I want a portable sauna, but I’m not sure if the EMFs are going to be low enough. Any thoughts? Dr. Yaskoo and Heartfixer have been doing this for decades as opposed to a few years. I would hope to see their work credited, as well. No others compare, really. Additionally, a PAID listing is just that. It mirrors the OLD DAN! (Defeat Autism Now!) list, which has long since been eradicated. I think Dr. Lynch has some good basic info for both the layperson and professionals, but there is a true art to nutrigenomics and epigenetics. 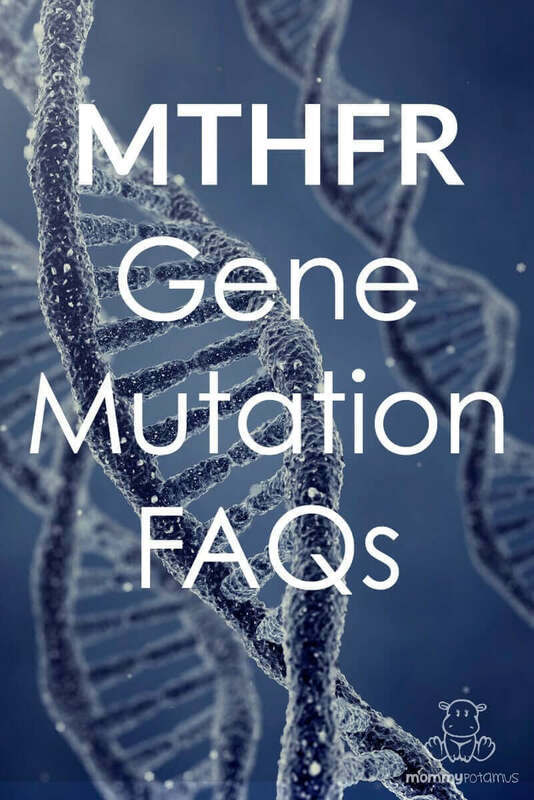 Thanks for this very informative info about MTHFR! I became familiar with Amy Yasko several years ago. Amy Yasko’s site introduced me to MTHFR, and since then I’ve become even very educated on the topic via Dr. Lynch’s info online. Thanks for bringing so much awareness to this topic that so few know about! 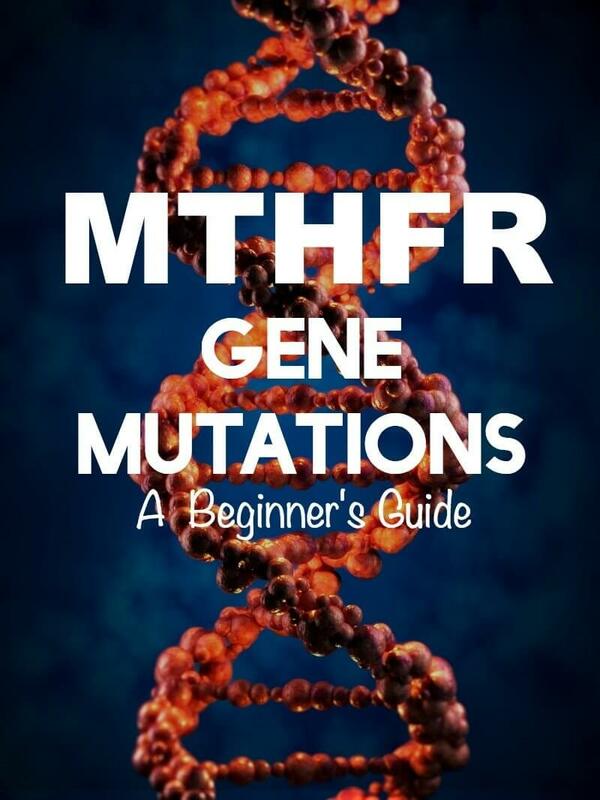 curious if you or any readers know of resources for parents of children who have the mthfr mutation – whether to supplement and how. I would like to know this as well! Anyone know of a children’s multivitamin that contains methylfolate instead of folic acid? How do you even know if you have the condition? Vicki, I found out via doing my DNA health testing at 23andme.com and then feeding my raw data file from there ($199 for that home test, and then an easy download of that raw DNA file once you have it) to Promethease.com (an easy quick upload and then only a cost of $5). That second site will give you an amazing amount of data and then search MTHFR once you get it. What health benefits have you observed since modifying your lifestyle, diets and supplements to support your specific needs now that you know you have mthfr? My daughter has an upper lip tie. I have not been tested for MTHFR. Should I just take folate rather than folicacid while pregnant? Hi I have the mutation and so do 2 of my 4 children . We have been told to take FOLINIC ACID to help with the condition. Is this safe? That many kids with vaccine injuries also have MTHFR gene mutations…and have a harder time detoxing from the adjuvuncts and neurotoxins. I think MTHFR gene mutations should be mandatory pre screening before we give shots to ANY kid. 3 of my 5 vaccinated kids are vaccine injured. Guess which 3 also have the MTHFR gene mutations? Yep. So, I’m no expert, but the MTHFR gene mutation *is* linked with autism, learning disabilities and mental illness. Could it be possible that your kids aren’t “vaccine injured” but may instead be having issues *because* of the MTHFR itself? My daughter was also vaccine injured also. She has the MTHFR. She ran a very high fever and quit taking after the MRR shot. Doctor said no proof of the vaccine causing this. Hi Keesha, it sounds as though you have a problem with detox reactions- you need to support your liver during any detox such as with probiotics. If the base line minerals are not in place then you can also have reactions. Random question, but are all rice products such as rice flours, rice noodles and rice flour breads enriched? Or is it only white rice that actually says “enriched?” I’m afraid to eat anything made from rice now!! Is “folate” in vitamins usable by those with the mutation, or can we only supplement with L-5-MRHF? So babies could help have cleft lip/palate? I am homozygous for C677T – I think. My 23andMe says +/+ so does that mean homozygous? Would both of my parents have it then? 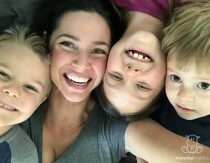 I have 3 kids – one is heterozygous, one doesn’t have it and the other hasn’t been tested. Any relation of mthfr to Multiple Sclerosis? I’m so confused. My gynecologist told me I have mthfr. She told me to take a folic acid supplement and sent me in my way. Everything I’m reading says to stay away from folic acid. Thank you for all of your helpful tips. You need a new gyno! If you have the gene then you need to stay far far away from folic acid. Folate is what you want. Think about mthfr as being allergic to folic acid. Did you get a genetic test to make sure you have the gene? I was tested for MTFHR and found out I have the mutation x 2. One from mom and one from dad. I am also brca1 positive for gene mutation. I’ve been supplementing with Country life co- enzyme b complex which is methylated b’s but am still on tons of medications because I can’t kick feeling exhausted and depressed all the time. How do I find out if my gene mutations interact with each other? Is there a test that can show if my supplementation is enough for me? I’m one year into my MTFHR diagnosis. Thanks in advance for any suggestions. In the picture on FaceBook there is a child with the top lip pulled up showing the tendon being very tight and I believe, causing the space between the teeth. Is this a symptom of this gene expression? I see this in my children, one daughter expresses both genes. Hi Anna, you may find this post on histamine intolerance helpful. It includes a list of foods that most people with HIT do well with. Hi! Do you give your children with MTHFR B vitamin supplements? If so which brand? Thanks! Is it true that babies with stork bites and sacral dimples have a mthfr mutation? It’s not diagnostic and there could be other reasons for a sacral dimple (such as inadequate folate levels due to diet), but yes sacral dimples may in some cases indicate a folate metabolism issue. Not sure about stork bites. I recently found a company that addresses 18 actionable SNPs, including the MTHFR gene. They do a DNA test and create your very own custom blend formula to take in powder or capsule form. The ingredients are raw, organic, gluten free, non-gmo, and vegan. It is the only company out there doing this. Is this something you would be interested in looking at? What genetic testing company is safe , accurate and recommend? ?